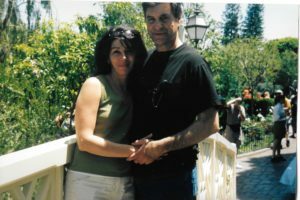 “The Jane Peveraro Fund” is dedicated to developing universal testing for ovarian cancer. How could something like this happen? How could someone who was young, vibrant, happy and healthy get so sick so fast? In 2011 at age 55, Jane was diagnosed with stage 3C ovarian cancer. Both the surgeon and oncologist described Jane as the “most healthiest, unhealthiest” patient they had ever treated. Jane did not fit the profile for ovarian cancer. She was in excellent health and ovarian cancer did not run in her family. The only path to beating this insidious disease would be radical debulking surgery followed by chemo therapy. Due to Jane’s otherwise good health, chemo would be aggressive. Genetic testing was performed to see if there was a genetic link. All tests showed no genetic predisposition for ovarian cancer. When asked how this could happen, the medical profession’s response was “bad luck”. After the first round of chemo (several sessions over 5 – 6 months ), the ovarian cancer seemed to be in retreat, or as the doctors called it, “remission”. But remission does not mean cure. After 5 months, there was a recurrence followed by more chemo, which seemed to work, again. However, once there is a recurrence, odds of survival are cut drastically. Most women in stage 3C do get a recurrence within 5 years. After fighting more rounds of chemo, there were more recurrences (called metastasis), then more chemo. Jane succumbed to this insidious disease 28 months after being diagnosed. How could this happen? When women go for their annual physical, there really is no screening for ovarian cancer. Most people are unaware of this fact. That’s why most ovarian cancer cases are discovered at a late stage, where survival odds are not as good. If discovered in its earliest stages, ovarian cancer has a higher rate of survival. Stage I women have a 92% chance of survival. The tragedy is that most ovarian cancer cases are discovered in Stage 3 or 4 where the odds of surviving just 5 years is only 39%. Like there is a mammogram for breast cancer, a PAP smear for cervical cancer and the PSA for men for prostate cancer, development for a screening test is needed for ovarian cancer. Unfortunately, there presently is no reliable test for ovarian cancer. Jane, loving wife and mother of 5 succumbed to this horrible disease at age 57, leaving a huge void for those left behind especially the grandchildren who get cheated out of her love and spending time with her. Again, how could this happen? Could this have been avoided? Could there have been a different outcome? Early detection is the key to surviving ovarian cancer. Symptoms, if any, are subtle, usually leading to later stage discovery of ovarian cancer. We need your help funding more medical research and spreading awareness to change these outcomes. The Peveraro Family has partnered with T.E.A.L.® to establish the Jane Peveraro Fund.